Another common varation of this avoidance tactic is “I should really fix my swing before I consider getting new clubs.” Here’s the thing — having the right equipment can actually help your swing. Many of us make ill-conceived adjustments to our swings to compensate for clubs that aren’t right. Maybe it’s a hunched-over posture to compensate for a 9-iron that’s too short, or an excessively weak grip to make up for a driver head that has a two-degree closed face. Whatever it is, the equipment we play often dictates the way we set up and swing. Get the right equipment and you’ll have a better shot at swinging the club correctly. Besides, there’s no such thing as not being good enough to buy a club that you love. This game is about enjoyment. The more you like hitting your clubs, the more you will enjoy the game. Myth #2: I can get fitted for clubs just like the pros do. No, unfortunately you can’t. Consider the fact that a fully outfitted Callaway trailer follows Phil Mickelson around the country. The job of the technicians inside is to make sure that Phil, and all the other tournament players who have “Callaway” stamped to their caps, have exactly the right specs on their clubs to match the conditions at hand. If Phil wants the bounce on his wedges grinded down for the tight fairways at Augusta, they do it for him on the spot. If Phil wants his driver loft increased by 3/10 of a degree to boost his carry, consider it done. For the average golfer, this level of fitting just doesn’t exist. Many stores and club-fitters will claim that they can “fit you like the pros,” but the type of micro-fitting that is done at the tour level just doesn’t make sense on a mass scale. And this provides a nice segue into the next myth. 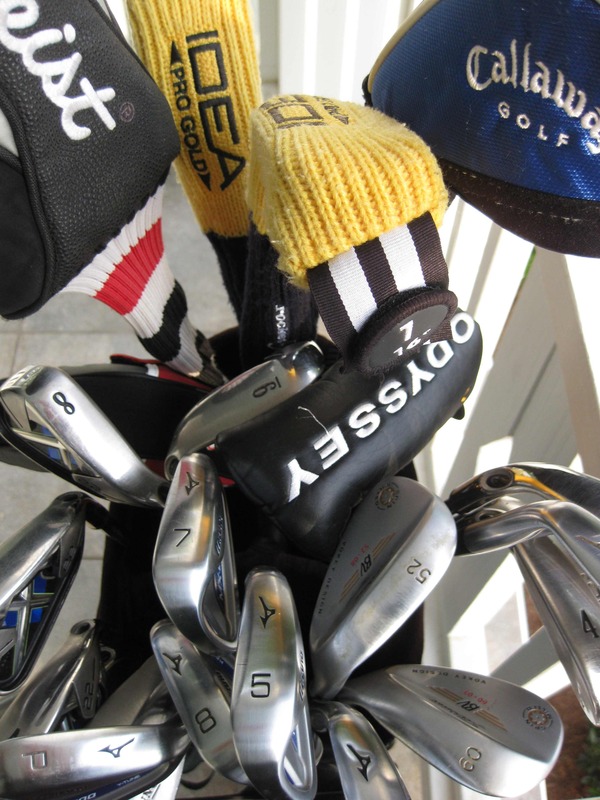 Myth #3: I should always pay to get fitted for clubs before I buy anything. My wife has a 20 handicap. She recently decided to upgrade from the starter set she’d been using, so she went over to the GolfTec in town and paid $99 for an iron fitting (no driver, no wedges, no putter, just irons). Over the course of an hour, the fitting professional had her hit about four different irons, all from an inch-high rubber tee that was situated about 10 feet from a net. The artificial turf behind the tee was so ripped up that she couldn’t ground her club. After making 30 or so of the worst swings of her life (because of the awkward conditions), she was given a recommendation to buy a set of $1100 Mizuno irons. GolfTec is a Mizuno retailer. Their website boasts Mizuno as a “feature” brand. Keep in mind that you can buy the same Nike irons that Tiger plays for $200 less. Something just didn’t feel right. I admit that this is an extreme example. Certainly there are fitters out there who do a great job (if you pay top dollar you can find them), and perhaps some of you have had good experiences, but I’m confident that with some good information and a modest amount of savvy, the average golfer can fit himself/herself without spending a dime (and end up with a better fit in the end). The key is to knock out the middleman. I’ll explain how to do it when we talk more specifically about drivers and irons in future posts. Come back for the next one and you’ll get the information you need to do a little driver shopping. This entry was posted in On the Course with Dan Gonzalez and tagged equipment by Bob Wall. Bookmark the permalink.